Charles was born on 4 November 1895, the son of George Smith and his wife Kate née Preston; he was the eldest of their three surviving children listed in their 1911 census return. That census asked for information relating to child mortality, which showed that George and Kate had lost two children in childhood. In many cases such children can be identified through readily available birth and death registration indexes, but the most common surname in England is impossible to research in this manner - there were over 40 deaths of Smiths under 10 years old in the Newbury registration district between 1890 and 1905. Charles’ surviving siblings were Frederick John (born 1898) and Harry Francis (1903). Schooling would have ended for Charles when he was 13 or 14 after which he would immediately enter the job market; by 1911, aged 16, he was working as an errand boy for a local tobacconist. 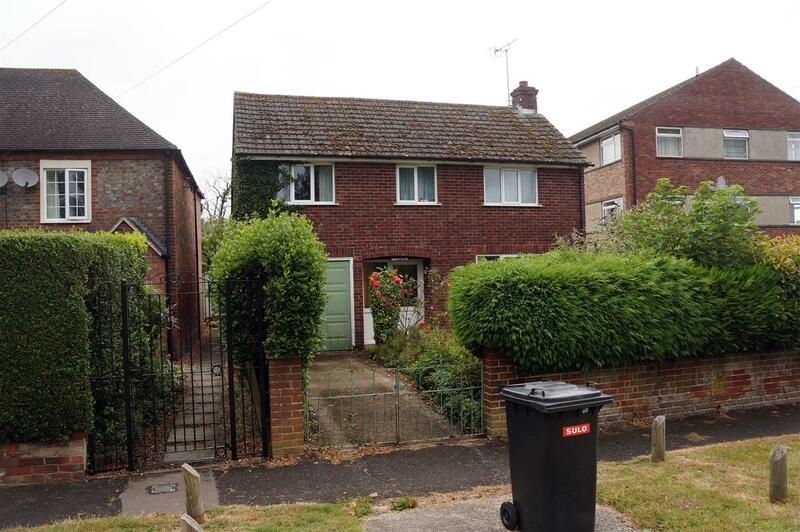 which was home to Charles' family. 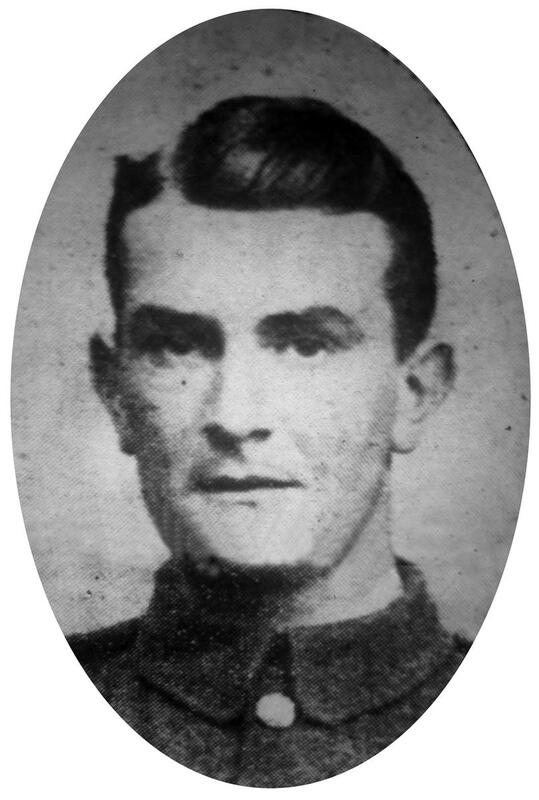 War was declared on Germany on 4 August 1914 and Charles, like so many young lads was swept up in the war fever that gripped the country; on 7 September he enlisted into the Royal Berkshire Regiment. He was one of hundreds of thousands who enlisted in the opening months of the war in response to an appeal from Lord Kitchener for a ‘new army’ to fight the Hun. Dozens of new battalions were created to cater for the recruits, they were designated ‘Service’ battalions because the recruits enlisted on different terms from Regular or Territorial soldiers – their commitment was to serve for the duration of the war as opposed to fixed length terms (12 years for a Regular, 4 for a Territorial). 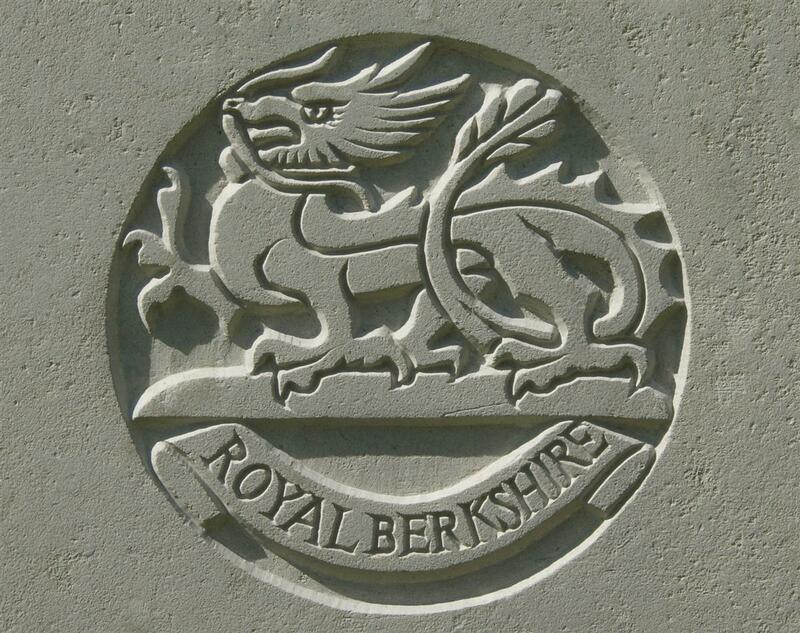 The Royal Berkshire Regiment formed several new battalions, four of which saw active service. Charles was posted to the 8th (Service) Battalion, which spent the winter of 1914-15 in Reading, gradually looking more like soldiers as shortages in uniform, weapons and other equipment were overcome. Eventually they were deemed ready and crossed to France on 7 August 1915. Most Service battalions were formed into new brigades and divisions of what became known as Kitchener’s Armies, but the 8th Berkshires were selected to replace a Guards battalion in the 1st Brigade, 1st Division – they would be going into action alongside tried and tested Regular battalions. The reason for this was that the various Guards battalions were being reorganised into a Guards Division; two such battalions were in the 1st Brigade, hence the arrival of the 8th Berkshire and the 10th Glouscesters. Naturally the men of the 8th Berkshires felt they had been specially selected as a battalion showing special promise! On 25 September the two new battalions were chosen to lead the attack on German positions near in front of the village of Hulloch as the Battle of Loos was launched. While the battalion acquitted itself very well on that day the losses were colossal, over 500 men were listed as killed, wounded or missing when the roll call was taken after the battalion was relieved on 28 September. So many officers had been killed or wounded that the battalion had to take in replacements from the 9th (Service) Battalion, Royal Berkshire Regiment (originally intended as an active service battalion the demands of the units in the field soon turning the 9th Battalion into a training and reserve unit). There were also four officers drafted in the the 1st Battalion, Dorsetshire Regiment. We had our second flick at the Germans last Tuesday. We had been in the trenches for seven or eight days before we made the attack. This was only our second time in the trenches and, on each occasion, it had been pretty warm. There was one continual bombardment and the Germans never failed to answer with shrapnel or 'Jack Johnsons' We had our rum ration in the morning and then after a little meal (called dinner in civil life) we were ordered to put on our gas helmets. Some smoke bombs were thrown well out over the parapet of the trench. Then after a few minutes interval the first line advanced. Each man carried a pick and shovel, so that he could commence to consolidate the first German trench immediately they got there. The line advanced well and they got from 50 to 80 yards without a man falling. Then the Germans in the front line trenches started pouring machine gun fire into them and they had to lay low. A good many men were killed but the greater proportion were wounded. I saw one of our officers who had been wounded in the throat, and who afterwards died from it, lying down, peppering the 'Germs' with a few revolver pellets. He did some good work and I know the boys of his company were sorry to lose him. Another officer, a captain, was walking up the trench his company occupied and was heard to say 'Will you follow me Boys?' The men answered with one voice 'We will follow you anywhere sir!' The next minute they were over the parapet and rushing towards the German lines. But the poor officer did not get more than 50 yards before he was riddled with machine gun bullets. It put the devil into the men to see their captain fall and they went for it with the determination to kill the Huns or die themselves in the attempt. Somewhere in this mayhem Charles died; his body was never identified and, it seems, no survivor of the action saw him fall. As a result he was recorded as missing. This was still the case when the Berskshire Chronicle published his picture on 17 December 1915 (see above) captioned L/Cpl C Smith of Stroud Green, Newbury has been missing since the 13th October 1915. To have a loved one listed as missing was a mixed blessing because it kept alive the hope that he would turn up as a prisoner of war, though the vast majority would not. So relatives would be in limbo, with hope fading as the months passed; some relatives would not even accept it when the War Office finally concluded, usually after many months, that death had occurred on the day the soldier went missing – as indeed was the case for Charles. Charles' name on Newbury War Memorial. His body was never identified, so his name is remembered on panel 93 of the Loos Memorial to the missing at the Dud Corner Cemetery just outside Loos-en-Gohelle. 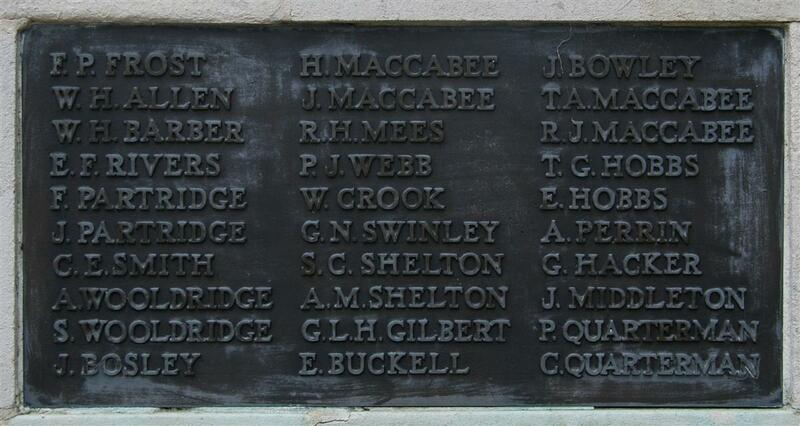 Locally he is remembered on tablet 2 of the Newbury Town Memorial .